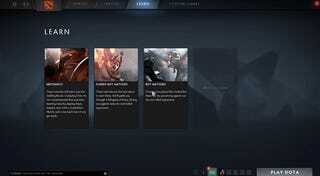 Dota 2 is getting a complete makeover. 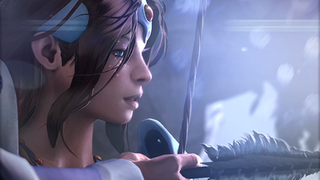 Introducing: Dota 2 Reborn. Yes, that’s the actual name of the new overhaul, which will go into beta in the near future, Valve announced today. So, what’s new? Lots of stuff, it turns out! Mostly of the user interface variety for now, though there’s more coming soon. Lets take a look at what is available now, though. Notice how each of these menus always lets you start a game up? Yeah. Nice, eh? Invites have also seen improvements, along with party chat, and party management—you can now merge parities, and assign party leaders. You can also set your status to ‘open,’ which lets other people know that you’re down to play. It is now easier to keep track of friends, too: other improvements include being able to hover over a player’s avatar and see a mini-profile, a new activity feed, and the ability to see a playstyle graph. You can now apply filters with specific roles, and the game will wittle down the list for you. Additionally, personalizing your hero has been streamlined, and you’ll be able to demo your character after you outfit them however you’d like. We haven’t covered every single aspect of the new Dota 2 interface here—for that, you can check out the full notes here. 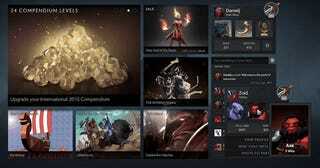 It’s also worth noting that these changes aren’t the only ones coming to Dota 2: Valve promises changes to custom games, more details about the new engine (and therefore graphics), and more.